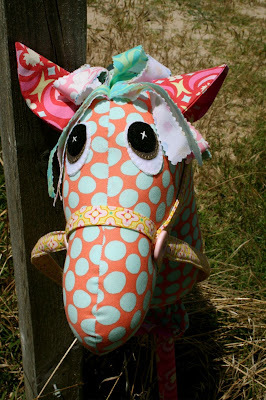 make it perfect: .Christmas Sewing: Giddy-Up!. 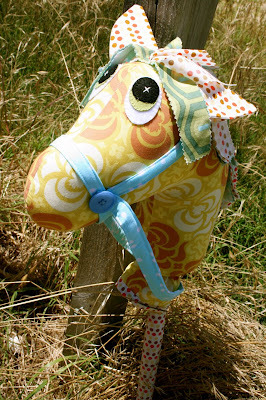 A "Giddy-Up" horse each using a new Melly & Me pattern! You know how you see a pattern and know that you just have to make one? It was like that with this pattern. I thought it would be a long shot trying to get two of them finished the week before Christmas but they were pretty straight forward to put together. 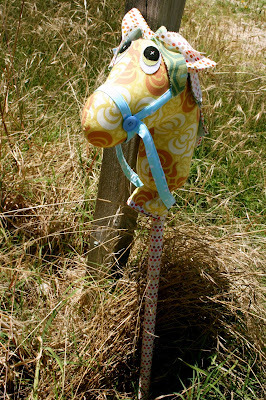 I think they took me three nights of sewing after the kids had gone to bed. They are wonderful. Why do you have to wrap them? Couldn't they just be "out there"? Or, you could wrap a blanket around them. 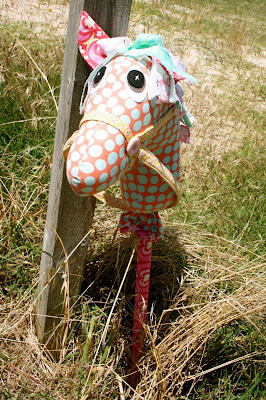 They are awesome Toni - especially their sad eyes and polka dotted face. Hope the kids appreciate all the work you put it! These look great!! I loved mine when I was a kid. I love these too. 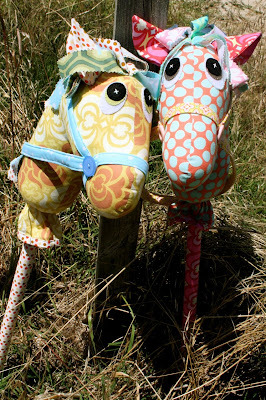 I made Two Pippi Ponies this year and am planning on a new softie for their stockings each Christmas. That link for the pattern doesn't seem to be there anymore. It's cute though!